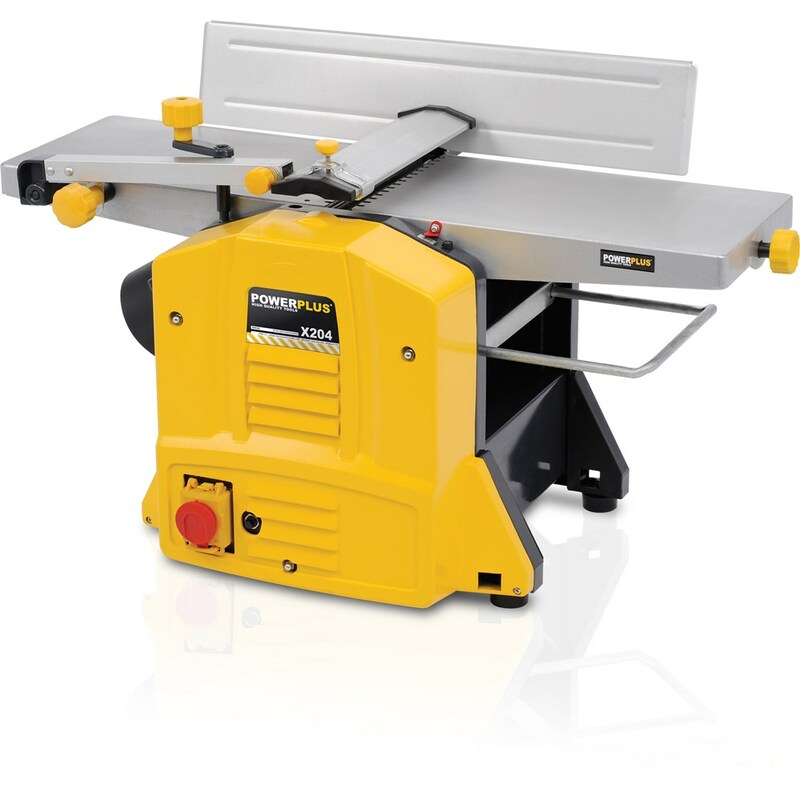 POWERPLUS PLANER 1500W 204MM POWX204: This thickness/surface planer is stationary woodworking machine for planing wood to even thickness on two sides or for surface planing on one side. With this 1500W Powerplus surface and thickness planer you can flatten and plane with minimum dust and without harmful vibration. With digital display for fine adjustment and a height adjustment lock for extra fine work. The solid base makes work comfortable and pleasant. This top quality combined powerful planer thicknesser is ideal for the serious woodworker’s workshop. You can accurately plane or thickness with this precision machine.